The Doctrine of the Inspiration of Scripture did not begin with Christianity. It was actually an idea that was carried over from Judaism, with some slight modifications. The Jews believed in the sacredness of Scripture. But different parts of the Bible were sacred in different ways. There was almost a sliding scale of sacredness. For example, they divided the Hebrew Scriptures into three parts: The Law, the Writings, and the Prophets. The Law was the most sacred of all the Scriptures. But curiously, it was not inspired. Instead, the common Jewish belief is that parts of the Law were inscribed by God’s own hand, (such as the Ten Commandments), and the rest was dictated by God to Moses. They even believed in the preexistence of the Law, and that it has existed eternally in heaven, and was only recorded by Moses when God dictated it to him. The Jews also believed that the later historical writings and the prophets are “inspired” by God, and the Jewish view of this is very similar to the conservative view of inspiration of Plenary Verbal Inspiration. Since these books were not written or dictated by God, they are of secondary importance in comparison to the Law. The Law was written directly by God, the writings and the Prophets were mediated by men through the work of God in their life. This is one reason that many Jewish Rabbi’s spend their entire life studying the Law and the Talmud, which is kind-of like a practical commentary on the Law, and pretty much ignore the writings and the prophets. I have a friend who is a Jewish Rabbi, and one day we were discussing some of the Old Testament passages, and it quickly became obvious to me that I knew the Old Testament Historical books and the Prophets better than he did. He stated that he does not read or study them, and when I asked why, he said that they are nothing more than “commentary on the Law” and his primary concern is on how to obey and practice the Law, which the Talmud explains better than the Writing and the Prophets. Most Christians do not hold to a mechanical view of inspiration, and believe something closer to the Jewish view of how the Writings and the Prophets were written. Somehow or another, God guided their writing, using the personalities and vocabulary of the individual authors to help express His words and ideas. This is one of the sources from which our doctrine of inspiration came. 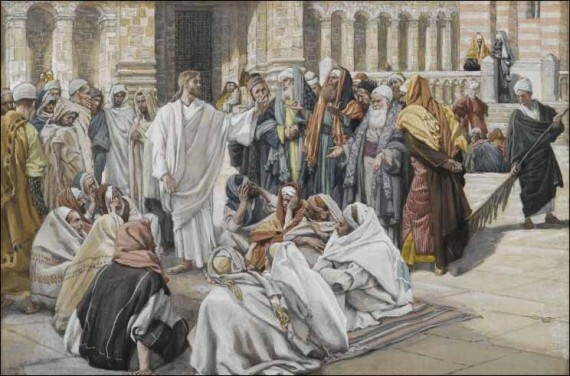 Jesus was Jewish in every way, but often argued for a very different interpretation and application of Scripture than what was commonly accepted as the “majority view.” Often, Jesus was accused of abolishing the law and the prophets, and He frequently defended Himself against this accusation (cf. Matt 5:17-18). In one place, Jesus goes on the offensive, and tells the Jewish leaders that it is not He who has an incorrect view of Scripture, but they. In John 5:37-40, Jesus tells them that they diligently study the Scripture because they think that by the Scripture, they have eternal life. Talk about Scripture idolatry! Instead, Jesus says that eternal life is not in the Scriptures, but in Himself. Now certainly, Jesus is not really saying anything here about inspiration, but He is saying that the Jewish people had an incorrect view of Scripture. It is difficult to know in which ways exactly Jesus differed from His Jewish contemporaries. The history of how the early church came to adopt and defend the doctrine of inspiration is a little hazy, but a few things are certain. First, the doctrine of Inspiration is a very early doctrine. It is found as early as some of the writings of the 2nd and 3rd Century AD. Secondly, and most importantly, the doctrine is always mentioned in the context of a church leader trying to defend the church against a teaching which they considered heretical. In these battles over truth (many of which ended with actual battles with swords and spears and killing people), one of the theological weapons used was the idea of the Inspiration of Scripture. To combat heresy, they needed to determine which writings were credible and accurate, and which ones were not. They developed a series of tests by which to choose which letters and gospels should be deemed “from God.” By doing this, the church created a set of “trump cards” by which to silence those who were deemed heretics. None of this means that the doctrine itself is wrong. This is just a small piece of the history of the doctrine. Beginning tomorrow, we will look at 2 Timothy 3:16, the central passage used to defend this doctrine. You’re doing a good job with this series, Jeremy. The story in John 5:37-40 makes me think that Jesus would have something similar to say to some of us today. Somehow some people start with their understanding of “inspiration”, move on to “inerrancy” and then apply those ideas to their “interpretation” of the Bible. This approach is often used to gain power, control and a feeling of superiority over others, either in the church or in personal relationships, especially the family. Before you conclude this series, would you discuss the statement that I hear so often among the (Christian) religious, which goes something like this: “If you throw out (or translate differently or interpret differently) that word (or verse or passage), then you might as well throw out the whole Bible”. This means you must accept their translation and their interpretation of everything they think they find in the Bible, and to question that is like slapping God in the face. Yes, I am planning on discussing translations. You hit the nail on the head with the progression from inspiration to inerrancy to interpretation to power. I’m curious. What were some of the doctrines of today that were considered heretical in the early church? The two most famous were the Trinity and the Divinity of Jesus. Much blood and ink was spilled over these two issues in the first 500 years of the church.